Our vision is to establish Cambridge as a leading cleantech community in Europe. We will achieve this through our mission of enhancing the area’s global competitiveness by co-ordinating, supporting and promoting commercial opportunities for our members. With the worldwide reputation of Cambridge as a source of technology innovation, already some 500 earlier-stage innovators in the vicinity and more established environmental businesses around Peterborough, this area is a natural home for joined-up clustering and self-support. Promote Greater Cambridge and the UK as a significant cluster and centre of excellence for the cleantech sector. Create opportunities for business growth and deliver excellence and value-added business support services to member companies. Provide a leading edge networking forum for debate and discussion on cleantech sector trends, opportunities, policy issues and international growth. Lobby government on regulatory matters to support the cleantech sector. Promote collaboration between higher education, the scientific and research community and the cleantech sector in Greater Cambridge. 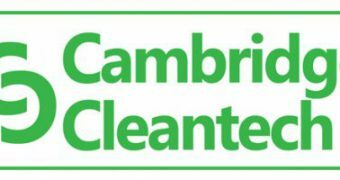 The Greater Cambridge Cleantech Strategy & Action Plan, which provided the business case for the creation of Cambridge Cleantech and guides its work, can be accessed here. If you share our aims and wish to see both your company grow and Greater Cambridge develop into one of Europe’s leading cleantech clusters then Join Us.